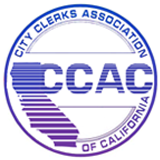 This section was created (February 2016) to provide resources of use to California City Clerks. If you have information that would be beneficial to post here, please contact the Communications Director. Click Here for Sample "Clerk in a Box"
Note: This list is incomplete; if you have information to share; please email the Communications Director.